Plastic Bags will be a thing of the past with this ultimate, 14 piece, 100% Organic Cotton Shopping Bag Set. 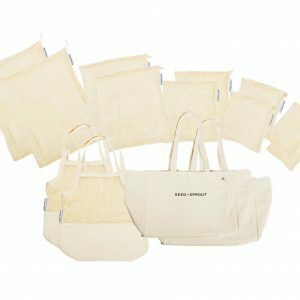 These shopping bags come as a set. 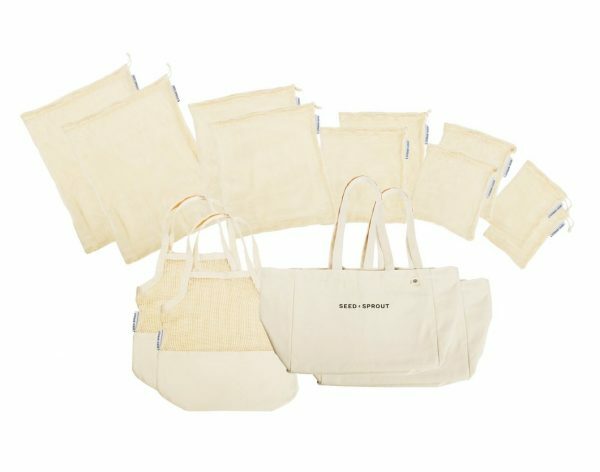 By offering the bags as a set, we get to offer you greater value for money (individual retail value of each bag would add up to $120+), as well as encouraging a more earth conscious lifestyle by proving you the tools to effortlessly shop with your array of organic cotton bags on hand. 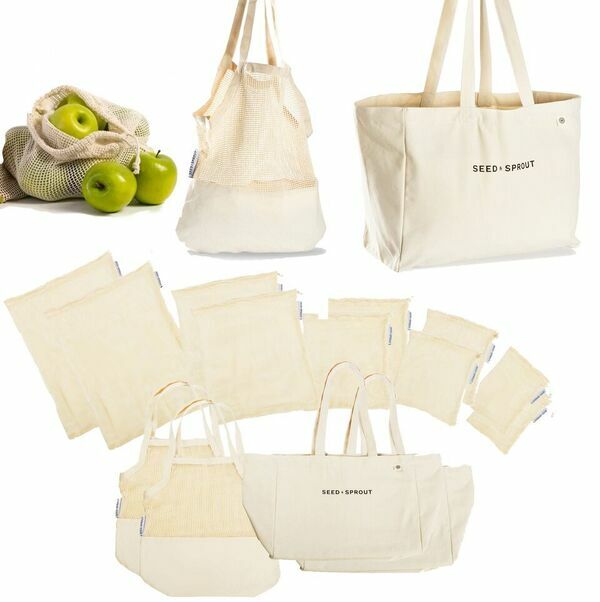 The sturdy canvas is constructed to fit your groceries inside without the need to use any plastic bags. 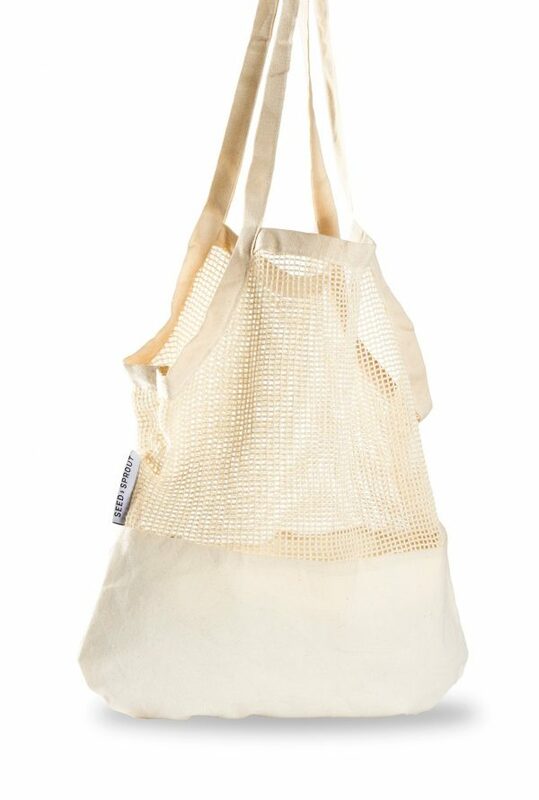 The bags are roomy inside and will carry an average of 3 standard bag loads. 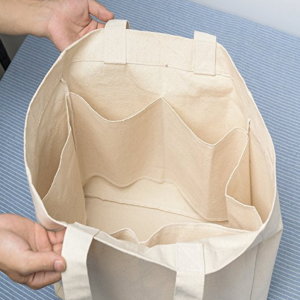 There are 6 internal pockets to keep things organised. 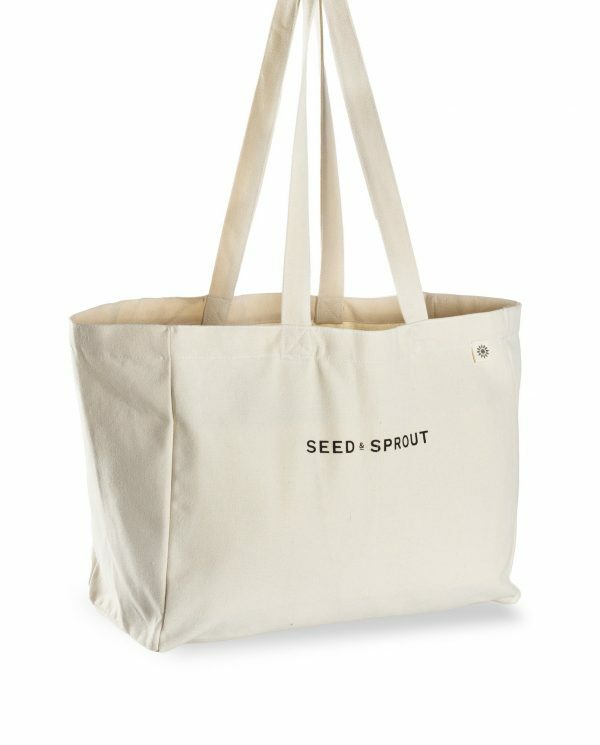 A real life saver for things like milk, drinks, tubs, celery, baguettes, bottles, flowers. 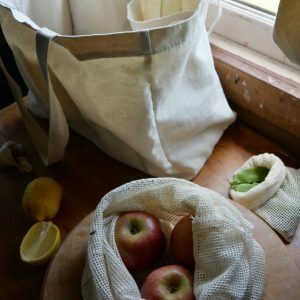 These bags are designed to minimise the impracticalities of a fully string bag. Produce poking out the holes in the bottom just isn’t that fun, right? 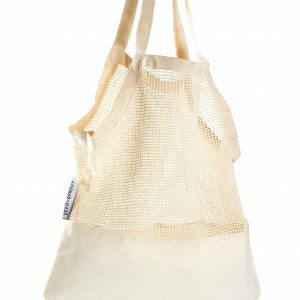 Our canvas bottom bags are the best of both worlds by maintaining the charm of a string bag yet the practicality of a canvas bag. 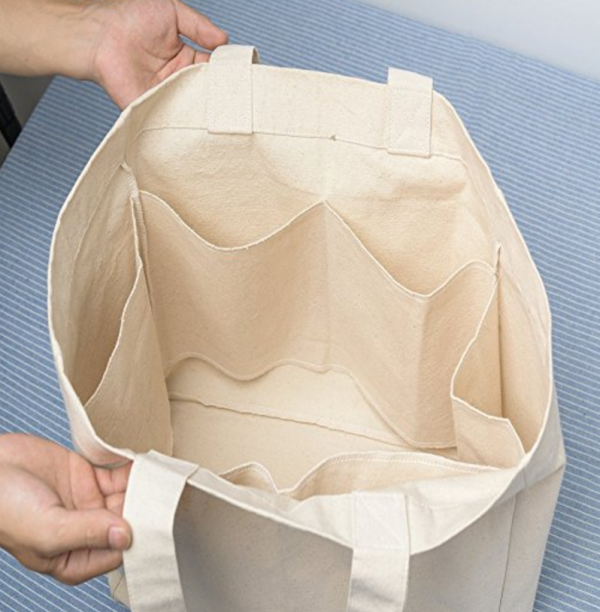 5 assorted sizes in 2 pieces each gives you the flexibility you need when grocery shopping. 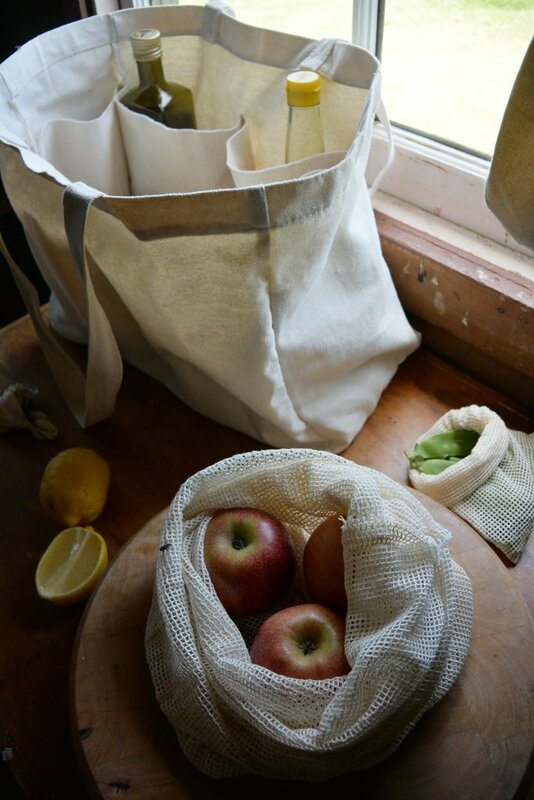 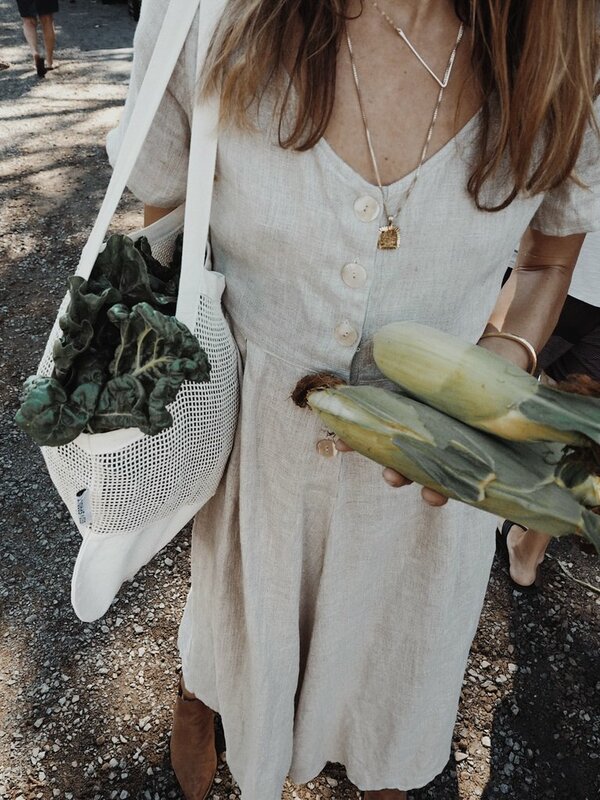 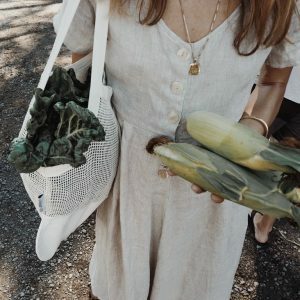 Thin plastic produce bags will be a thing of the past with these gorgeous organic cotton produce bags. 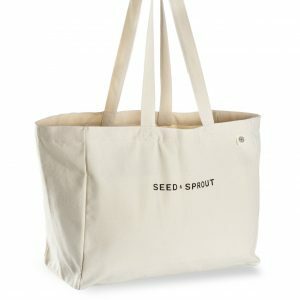 Store herbs, fruits, veggies, nuts, breads.